Forget the days when you had to request investors for investing in your company to counter the finance-related problems. Standby Letter of Credit (SBLC) provides you great support if you are a small business and in initial stages. SBLC is a powerful financing tool, and you can use in tight situations when you are running out of money, and the situations are not favorable for business. The Standby Letter of Credit is also taken as a sign of trust in business transactions, and it serves as the irrevocable guarantee of payment. 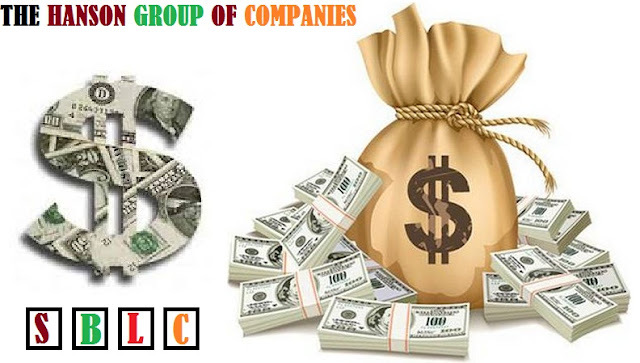 Nowadays Standby Letter of Credit is issued globally with the help of top banks of the world. It can be used for a variety of projects and is helpful in credit enhancement, trade finance, project finance and many more. Standby Letter of Credit (SBLC) is like a guarantee of payment issued by the bank on behalf of a client. If a client fails to fulfill a contract commitment, the bank pays the payment, and then client repays the bank. Obtaining a SBLC Standby Letter of Credit is an easy process, the process is similar to taking a commercial loan, but there is much less paperwork, and SBLC is issued in less time as compared to a loan. The business owner has to prove that he/she is capable of repaying them, and can show collateral if required. 1. Financial Standby Letter of Credit: A financial Letter of Credit is a legal document that gives assurance that payment will be made under any circumstances, to the seller. Financial Standby Letter of Credit is irrevocable undertakings by a bank. Bank guarantees the beneficiary the repayment of purchaser’s financial obligations. All financial letters of credits have 100 % conversion factor; any outstanding debts are paid in full. Companies which are trading in securities market are required to have guarantees in case they are unable to settle their trades. 2. Performance Letter of Credit: There LOC are irrevocable undertakings that bank makes to the beneficiary, these are virtually same as cash and are revoked in the case of court-proven fraud. The bank makes a statement that they will make a payment if the purchaser does not meet their non-financial contract obligations. These are transaction-related contingencies and are converted at 50% of total transaction amount. These are issued to developers to guarantee a contractor’s fulfillment of the contract. As you read the Standby Letter of Credit is a must-have tool if you are running a business you can check various online platforms available to check the acceptability of loan at different places. Taking professional advice is also a good idea as you get the right guidance and companies like The Hanson Group of Company have collaboration with top Banks of the world to make business accessible across the globe.